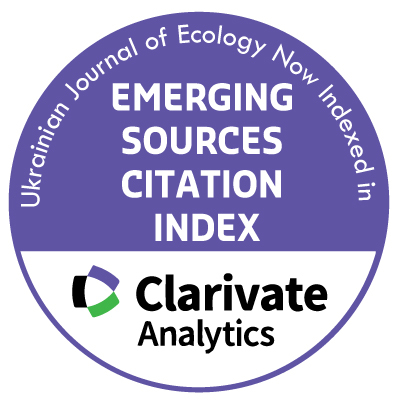 We investigated the influence of habitat and climatic parameters on Grey partridge populations in natural and agricultural landscapes of Ukrainian forest steppe. In all the studied provinces, the general population trends of Grey partridge did not have the concerted correlation with climatic factors, though in Steppe left bank natural-agricultural province, LS-3 there was registered negative correlation between the number of birds and average rainfall in June; in Steppe Right bank natural-agricultural province, LS-2 we fixed positive correlation with average annual humidity. We also revealed the persistent negative relationship between the density of roads and partridge abundance in hunting lands of study area. We also founded that number of agriculture variables which limited the number of grey partridges, was higher, then in central and left-bank forest-steppe of Ukraine. Thus, we registered strong negative correlation between the square of sown lands and cultivated crop area (namely with corn, sunflower, and soy), dwelling space, norms of mineral fertilizers/pesticides and the number of birds. The same variables had low and medium positive correlation coefficients with bird abundance in western part of study regions. This could indirectly indicate the forced usage of arable land by birds as the reduction of mediocrity and natural mosaic of agricultural landscapes along the gradient from the west to the east of Ukrainian steppe. This should be considered in the hunting management of agricultural landscapes in study region, like identifying of the plots for the introduction of artificially reared birds, selection of reproductive areas and other ecological and economic measures for the protection and rational exploitation of grey partridge.